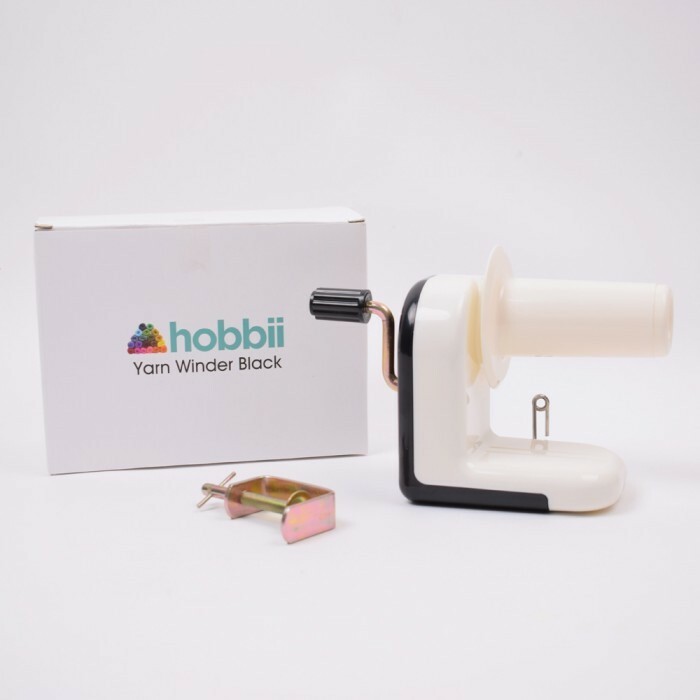 Smart winder to wind up your yarn. 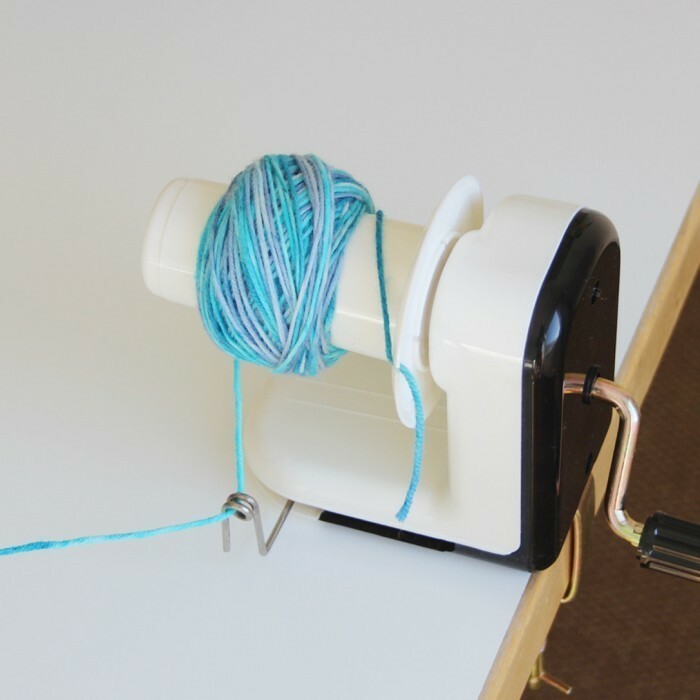 If you use this yarn winder, you'll get really nice yarn balls able to stand by themselves. 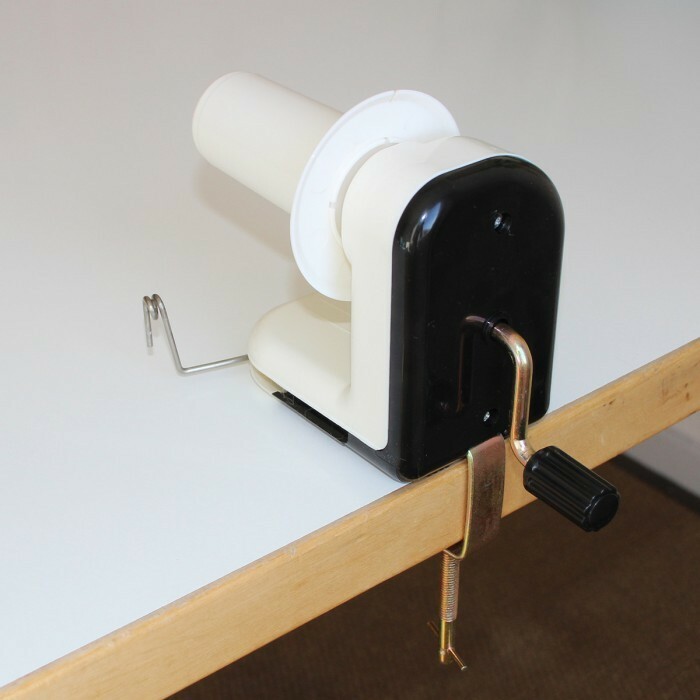 You attach the device to the table top, and guide the yarn through the metal eye and put the yarn into the turntable - and voila! 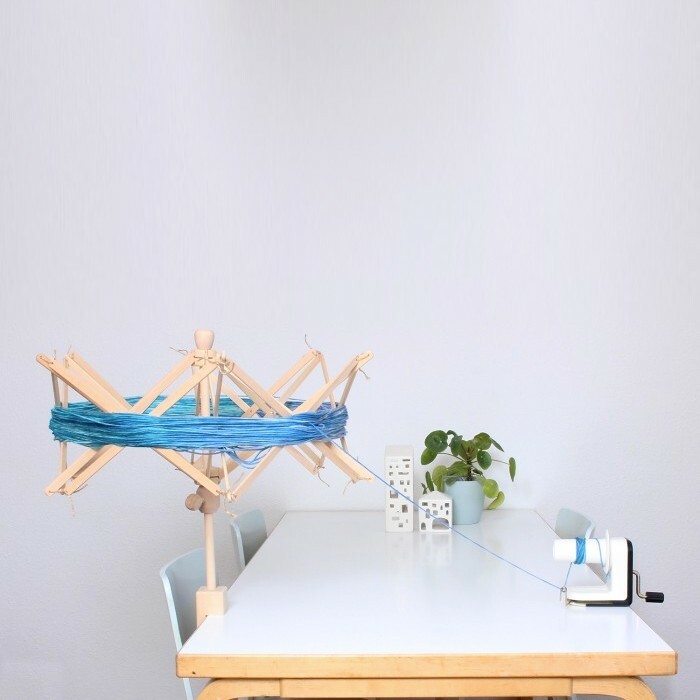 You can now wind great yarn balls faster than you could ever hope to do it by hand. 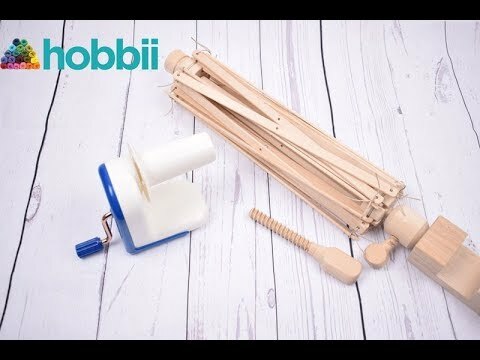 The wool winder may be used with a yarn swift if you want to wind from a clove. 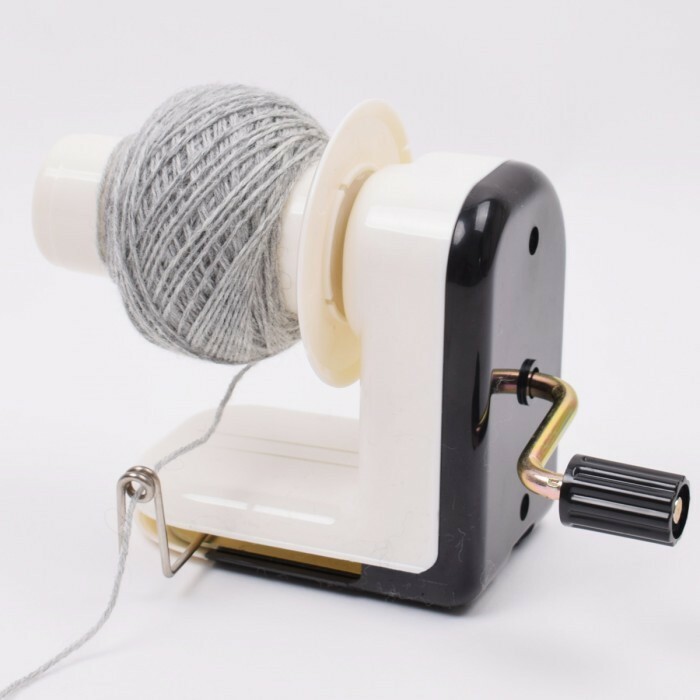 You can download the user manual for the yarn winder right here.